Technology used in training for the Olympics may make that split second difference to make it to the medal podium. The 2018 Winter Olympics begin in PyeongChang, South Korea on February 9. Hundreds of athletes from around the world have spent years training for opportunity to compete in the Olympic Games. Only fractions of a second separate gold, silver, and bronze medal winners, so it is crucial for every athlete to perform at their best. These incredible advances in technology are helping Olympians do just that. 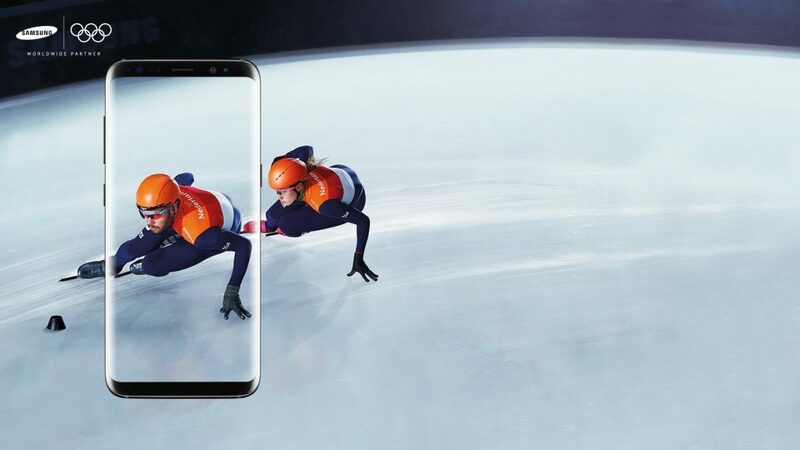 Samsung developed a SmartSuit to help train two Dutch short track speed skaters: Sjinkie Knegt and Suzanne Schulting. The custom made suits have five sensors that transmit a signal to the coach’s phone. He can then use the app to notify the skaters to adjust their skating form as needed. A vibration on the wrist of the suit lets the skater know they need to change their position. The skaters can only use the suits for training and are not allowed to wear them during the actual competition. You’ll have to watch the short track speed skating event to see how training with the Samsung SmartSuit improved Sjinkie Knegt’s and Suzanne Schulting’s performance. The USA Ski Team is using virtual reality (VR) to train for the 2018 Olympics. Many ski events for these Olympics will be held in the Taebaek mountains. Most athletes on the team have skied the courses only a handful of times. With the help of VR, skiers are able learn the courses before arriving in South Korea. The U.S. is the first known Olympic team to use virtual reality to train. The U.S. Ski and Snowboard Association partnered with STRIVR Labs to create the video needed for VR training. Not all the US ski team added the VR videos to their training, but those that did are hopeful that it will give them and advantage over their competition. These exciting tech advances in training are sure to be an interesting part of the 2018 Olympics. Coaches, athletes, and spectators from around the world will be watching closely to see how these training methods improve performance. You can watch the 2018 Winter Olympics on NBC on your TV, computer, or mobile device. Our Tech Advisor’s are available 24/7 to help you download apps, or answer questions about streaming video to make sure you don’t miss one second of your favorite events. © Bask. All Rights Reserved.